Call center QA based in Scottsdale, Arizona improves customer service. Call center QA can benefit companies in Scottsdale, Arizona and across the United States. Call centers are often the first point of contact for customers and are the first people customers reach out to when something goes wrong. A good experience with your call center can go a long way in helping keep an upset customer and build customer loyalty. On the same token, a bad experience can cost you customers. Per Forbes, 79 percent of consumers will go elsewhere within a week of receiving poor customer service. Ensuring your call center provides quality customer service is critical to your company, and call center QA can go a long way to help. Call center QA can help ensure your call center representatives are performing at their best and that you’re adequately staffed when you need to be. It can also help you identify problems and trends so you can take action quickly. But, it can also be time consuming and might be something managers and supervisors struggle to give proper attention to. Sage Advantage, based in Scottsdale, Arizona can help. We offer a variety of tools and services that not only will help save you time and money, but will help ensure your call center is running smoothly, and your customers are having an exceptional customer service experience. Sage Advantage offers many different tools and services to help you tackle call center QA. Combine your call monitoring with call recording with Sage Advantage. By using our hosting services, we can easily access calls and monitor them for quality. This also allows us to see any trends or issues as they occur. Coaching and training is another essential part of call center QA. 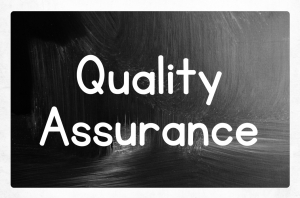 One major component of quality assurance is looking at how your call center representatives are performing and working with them to improve and succeed at their jobs. Sage Advantage group performance reviews with your managers and identify problems, low performers, and high performers. They’ll then make recommendations based on their review and analysis. They will then help lay out measurable goals you can track your agents’ progress against. By working with you on call center QA, Sage Advantage works to help ensure your customers receive excellent customer service. This, in turn, can lead to better customer retention and sales. Scottsdale, Arizona based company Sage Advantage knows the importance of call center QA. Call center QA can help improve your call center’s performance, help representatives grown their skills, and ensure your customers have a positive customer service experience. Contact us today to learn more or to schedule a free demonstration. Check out Evaluate Quality, founded by Sage, and their online offerings today.